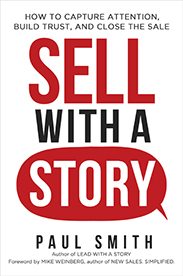 Michelle Davidson at RainToday asks some great questions in this podcast about storytelling at work — especially the last one! Click here. Inc. Magazine’s Adam Bluestein wrote a great piece on corporate storytelling, including what to do when it gets out of control. See full story here. Click here to listen to the 1 hour recording of the show that aired Sunday at 4pm on December 15, 2013 on WKRC in Cincinnati. My interview with the Wall Street Journal. Click here. A quick and candid look at the author, and a peek at what he’s writing now. Click here for article. 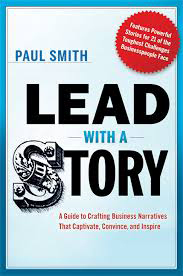 The American Management Association presents this 30-minute webinar on storytelling with Paul Smith, author of Lead with a Story. Click here and sign up to view for free. Click here for 60 minute webcast recording from host Steve August. Great questions from Antonia on why storytelling is important in the workplace. Click here. My interview with the Comic Muse podcast host, Daniel McInerny, in two parts. Click for Part I and Part II.